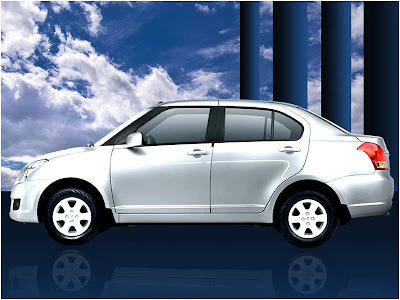 India's leading auto manufacturer, Maruti Suzuki to launch its new small car 'Maruti Cervo' in India by June 2010. The new car has already been introduced in the Japanese market and there has also got a excellent response from the market. Maruti Cervo as it's considered to be the successor of India's once favourite Maruti 800. As per new BS-IV emission norms coming into effect the old and India's most selling car Maruti 800 was phased out from the Indian auto market. Maruti Cervo happens to be the perfect replacement of Maruti 800 keeping today's need and taste in mind. It is sporty, sleek and has got really attractive looks. Maruti Cervo powertrain size will be 660cc. Even though the engine size is small but it is to deliver impressive power of 60 bhp and a peak torque of 64 Nm. The interiors and exteriors are done beautifully with a sleek body line, eye-shaped head light cluster, body colored side view mirrors and a Honeycomb radiator grille. It's a light weight car and as speculated would give a mileage of 20 to 24 kmpl. The exact specifications on the colors and variants are not uncovered by the Maruti Suzuki officials as of now, but would soon be in public-glare as keeping the Indian cost-sensitive market in mind, this would be a perfect package. On the other hand, Skoda Fabia, Volkswagen Polo, Hyundai Verna are the popular cars in the Indian auto market. Maruti Suzuki India Ltd., intends to grow its production capacity by at least 70,000 units. Currently, the company's all manufacturing plants are working very well. Besides, Gergoan and Manesar plants together have a production capacity of 800,000 cars annually. 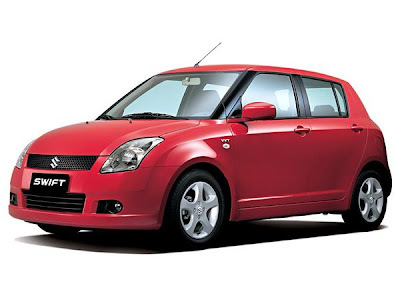 The company most selling products such as Maruti Swift, Swift dzire are witnessing long-waiting lists of car buyers. As per the industry reports there would be an grow of 10 to 12 percent in this fiscal. "We are trying to knock out wasteful operations in our manufacturing plants and increase productivity level of employees. The company's Manesar plant capacity expanded by another 250,000 units within next two years. Maruti Suzuki has crossed the one-million car production mark in the previous year, will have to manufacture at least 100,000 additional units this year to meet the demand, said I V Rao, Maruti Suzuki Managing Executive Officer (Engineering). This expansion is surely going to help Maruti Suzuki keep pace with the growing demands of the buyers in the ever-increasing Indian car market. According to Rao, Maruti exported 140,000 cars to other countries in the previous financial year, mainly exports in Europe market. The company was aimed of maintaining the same figure this year, as well. On the other hand, Skoda Fabia, Skoda Laura, Skoda Octavia and Skoda Superb are the popular cars in India. 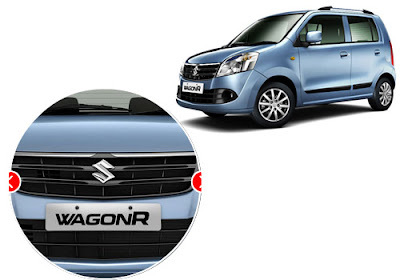 India's leading auto manufacturer, Maruti Suzuki has launched its new upgraded Maruti Wagon R in India today. Presently, Maruti Wagon R is second most selling car in India. As per new BS-IV emission norms, The company has developed the engine with BS-IV compliant 998cc K-series, three-cylinder that delivers about 68PS of power and 90Nm of torque. The company has already fitted new K10B engine with Maruti A-Star. BS-IV emission norms came into effect from first April 2010. New upgraded Maruti Wagon R is made on the latest platform of the vehicle that is available in Japan which has added 40 mm to its wheelbase and abut 100 mm its overall length. It's Interiors features have also been altered. The new car safety features are airbags and ABS(Anti Braking System). One of the special features which have also been packed in the top of the line variant are defoggers and fog lamps. Existing Maruti wagon R model will be terminated from the market which was launched in 1999 and the company sold a 8.8 lakh units in India. New upgraded Wagon R is priced between Rs 3.28 lakh to Rs 3.81 lakh. One of the major reduction made by Maruti Suzuki; the new gear box, that gives easier operation and better gearshift feel and should also action towards decreasing transmission losses to make the whole powertrain more capacious. Apart from it, Indian car lovers will see more launches that include Skoda Yeti, Tata Aria and Nissan Micra. 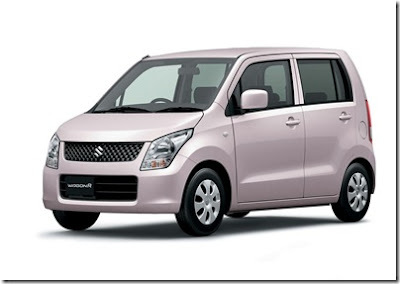 Japan based auto manufacturer, Suzuki Motors has declared that the aggregate worldwide sales of the Suzuki Wagon R has crossed the 5 million units mark at the end of February this year. The company sold more then 3,498,000 units in its domestic market Japan where the company sells 4th generation Wagon R, while in India and China the company managed to sell 832,000 units and 330,000 units respectively. With this, the aggregate sales in other countries stood at 340,000 units. In India, the Maruti Suzuki, a subsidiary of Suzuki Motors, is all set to launch a new generation Alto with its latest K-Series engine. The new Maruti Wagon R will be compatible with the new emission norms BS-IV, which came into application in 13 major Indian cities from April 1st. The 2nd Generation Wagon R will launched in India on April 23rd, with an all new transmission, more space inside and a face lifted exterior outside. However, with the arrival of the new Wagon R, Maruti Suzuki has temporarily suspended the manufacturing of the Wagon R (Duo), which also gave the customer the option to the vehicle on LPG. The new car will be available in three variants including the Lx, Lxi and the Vxi, and the top-end version will be having an ABS, two front airbags, besides an integrated stereo. As of now MSIL would only be manufacturing the petrol version of the Wagon R which would give more power and fuel efficiency. The new Wagon R is thus roomier with a larger cabin space and increased leg-room for all passengers. On the other hand, Skoda Yeti, Tata Aria and Nissan Micra are the upcoming cars in India. 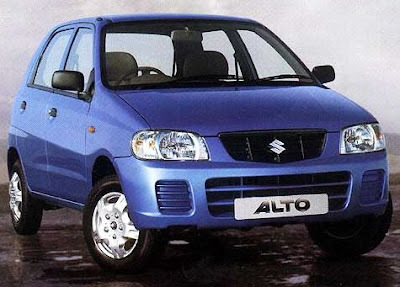 Maruti Suzuki India Limited, largest car maker is going to introduce the largest selling 'Maruti Alto' car in India. 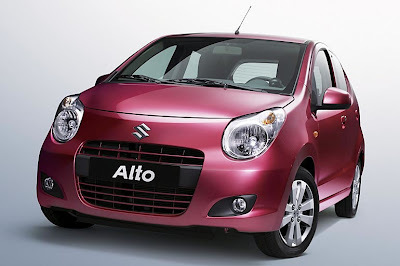 The new Alto would be rolled out on the affordable price tag of Rs.2 lakh. and will be loaded a 1 litre K-series engine capacity. Around 20,000 Altos are sold every month by the Maruti Suzuki, throwing light on the buying preferences of Indian customers. 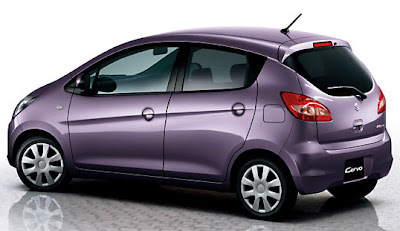 Its a great delight for the Indian customers as one of the cheapest hatchback car is going to be revamped soon. The revamp is done with the dual hopes of replacing Maruti 800, their flagship and most selling car in India that is phased out and also to beat the rising competition in the Indian automobile market. As most of the car manufacturers are on a launch spree, Maruti wants to hold the position in the small car segment. With all the face-lifts and innovations in design Maruti Suzuki is certainly aiming to capture and hold its position in the Indian automobile market that continues to remain a hatchback major. Although Maruti is making efforts to reduce the price of Alto, there are not going to be any major changes in the looks of the car. The top officials were heard saying that they would like to retain the design of their much successful model. Maruti is also revamping its another popular hatchback, Maruti Wagon R and has invested Rs. 290 crore in the same. Maruti Suzuki has always catered to the needs of Indian customers and the same is reflected well in their latest thoughtful move. RC Bhargava, Maruti Suzuki chairman said that it's their constant concern and effort to lower down the prices of their automobiles and that the latest move to strip down Alto's price is going to bring it close to the range of M800. Meanwhile, Nissan Micra, Tata Aria and Skoda Yeti are the upcoming cars in India. The country's leading car manufacturers, Maruti Suzuki and Hyundai has posted a exports growth of over 33.23 percent in the last financial year by exporting 4,41,710 units in the period as compare to the 3,31,535 units exports in the previous fiscal year, according to the data provided by Society of Indian Automobile Manufacturers (SIAM). 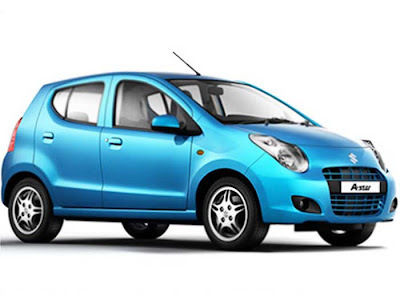 Maruti India exports it latest Euro-IV compatible cars in European market including Maruti A-Star and Maruti Ritz. While Hyundai exports its popular small cars in India like Hyundai i10 and Hyundai i20.The main factor in this high growth in exports was the rising demand for small cars in European market, where major Indian companies including Maruti and Hyundai offered incentives to customers for buying new cars in exchange of their old ones under a scrappage incentive programme, Pawan Goenka, president of SIAM told reporters here. The company's which were maximum benefited by this scrappage incentive programme are Maruti Suzuki India and Hyundai India. The largest car exporter from India, Hyundai Motor India registered an export growth of 12.75 per cent in this financial year,at 2,85,658 units as against 2,53,344 units in the previous financial year. On the other hand India's largest car maker Maruti Suzuki India registered a sales growth of more then 100% in its overseas sales at 1,46,156 units in 2009-10 as compare to the 68,835 units in the previous fiscal. The overall vehicle exports from India jumped by 17.90 per cent at 18,04,619 units in FY10, as against 15,30,594 units in 2008-09, as per SIAM. India, which saw its domestic sales increasing by 26 per cent, stood as second fastest growing market after China which registered a sales growth of 42 per cent in the same period. Meanwhile, Skoda Yeti and Tata Aria are the upcoming cars in India. 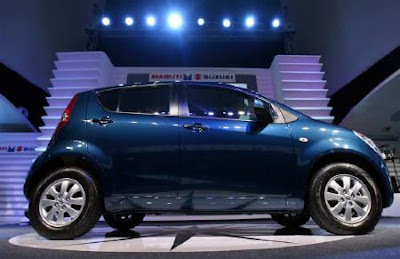 India's one of the leading auto maker, Maruti Suzuki has unveiled new Maruti Zen Estilo and Maruti Ritz cars in Napal. Its declared by the company official dealer Arun Intercontinental Traders int he country. The new Zen Estilo, which was discontinued last year, has been launched again with a completely new look and the latest K-Series engine. 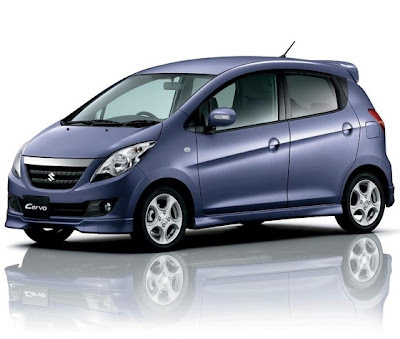 The new K-series engine Zen Estilo has a better fuel economy and lower emissions compare to the previous model. 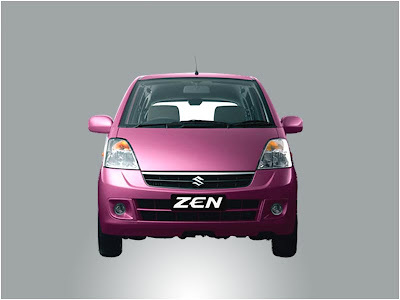 The new Zen Estilo provides a mileage of nearly 16 km per liter on city roads and about 18.2 km per liter on highways. Apart from it, while at the same time, the Vijay Motors Pvt Ltd, the authorized dealer of Chevrolet cars for Nepal, introduced Chevrolet Captiva Automatic variant. This model was launched in January 2008 in India, also available in Nepal equipped with a 2.0 liter diesel engine capacity which is delivered a 150 bhp.The new model is more spacious and stylish as compare to the last one, with a price tag of about Rs 1,750,000. The new generation features of Maruti Zen Estilo includes power steering, defogger, power mirror, electric rear view mirror, central locking system, airbag and rear wiper. The new Maruti Ritz was also launched on the same occasion with a 1200 cc engine, costing around Rs 2,600,000. The Captiva model has all new ahead generation features including adaptive All-Wheel Drive (AWD), Automatic Transmission, Electronic Stability Program (ESP), which incorporates technologies like the Descent Control System (DCS) and Traction Control System and Automatic Level Ride Control. As per the Vijay Motors that the Captiva that has been manufactured in South Korea by GM are bought to Nepal. Skoda Yeti and Tata Aria are the upcoming cars in India. The country's biggest car manufacturer, Maruti Suzuki has registered a zoomed sales of 11.04 percent at 95,123 units in the last month. As per the company statement, Maruti was selling 85,669 units during the same month previous year. In Domestic market, MSI has also surged by 7.68 percent growth sales in march by selling 79,530 units in the market against 73,855 units in the same month last year. 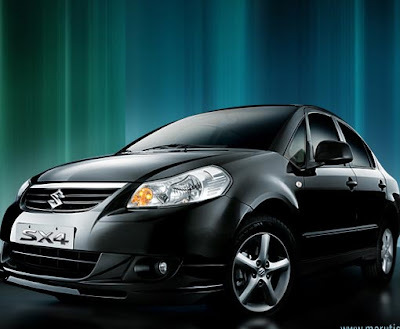 Maruti Suzuki also reported a sales growth of 28.55 percent at 10,18,365 units in its yearly sales during the FY 2009-10, compare with 7,92,167 units during the last fiscal year. The company's exports sales registered by 31.99 percent to 15,593 units from the last year sales ratio at 11,814 units. Maruti Suzuki said, "Last month exports sales have broken the previous record of 14,847 units, which were achieved in August 2009. However, sales of the company's once most influential model Maruti 800 fell down by 13.66 percent at 2,430 units compared to 2,760 units in the last month 2009, it also added. Maruti Suzuki has also entered into the one million car manufacturer club. The company's total passenger car sales jumped 8.82 percent at 78,853 units in March, compare with 72,460 units in the same month in 2009. Maruti Suzuki's A3 segment, sales growth went high by 21.61 percent in the last month to 10,453 units including Maruti SX4 and Maruti Swift Dzire. Apart from it, the company's A2 segment, sales has dropped by 1.18 per cent during March at 54,763 units considering Maruti Wagon R, Maruti Alto, Maruti Ritz, Maruti Zen Estilo, Maruti Swift and Maruti A-Star etc. from 55,415 units in the same month of previous year.